Played hooky from life today and spent six hours within 15 miles from my home, exploring and taking photos. Went with my friend and Gertrude, his dog, of course. What is nice, is since he is driving, I can shoot from my window or jump out to take closer shots. 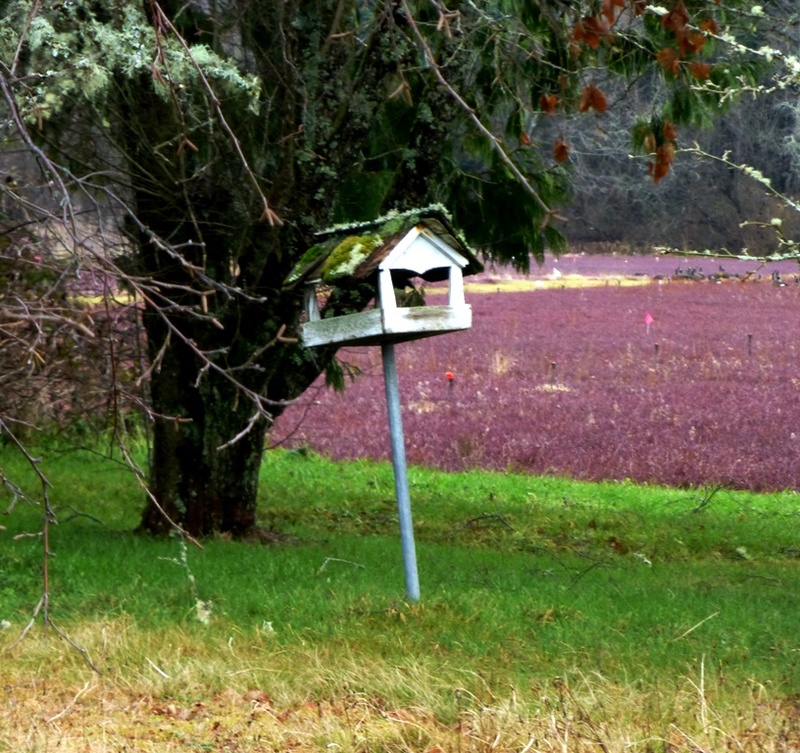 Cranberry bogs & mossy bird feeder. He’s a good sport about being the photo shoot driver. We laughed ourselves silly when, on one deserted street near the cranberry bogs, I kept asking him to go forward, no back just a few feet, no up a little bit more. This is often our M.O. on the beach, but it was weird being on a public street doing the stop-start-reverse-forward thing. I also showed him some of the cool things I had found on my lone expeditions. It was very cold on the beach, with frigid winds slapping us when we got out to grab agates. The sun was just right (when it came out) and we found some great ones. 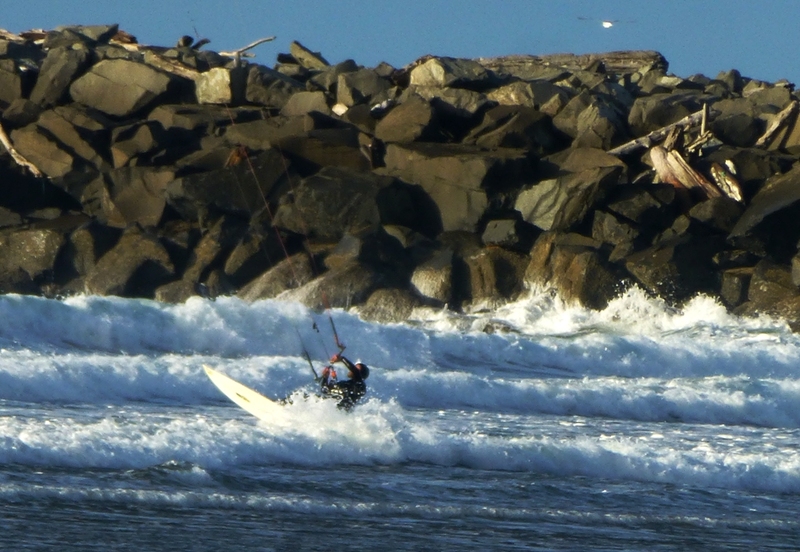 I got some shots of a sail boarder in the same area by the jetty where I took the shots of the surfers last week. Also, here’s a few other beach findings. Mama Plover and her 13 babies, weird orange brain fungus, jelly fish that looks like it is a landed space ship, a smaller one with an orange glow inside, sea grass with orange base–only a small section of grass looks like this. Seems to be a orange thing going on down here at the beach. TO BE CONTINUED…Part two in next post. As soon as I can, I will put the whole series up at my photo site. For now, I hope you enjoy these samples. Categories: Challenges Prompts Contests, Phall Photos | Tags: beach, birds, boat, fungi, photos, plover, sail boarder | Permalink.